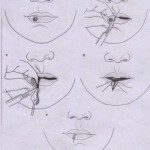 depend on the nature of the pathologic condition of the lesion. Excision of an oral carcinoma necessitates an aggressive approach that must sacrifice adjacent structures in an attempt to thoroughly remove the lesion. 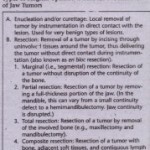 little destruction of adjacent normal tissue as is feasible. 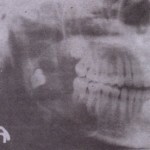 before excision of lesions. 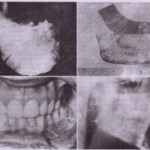 1 ‘cthods of grafting, fixation principles, soft tissue deficits, dental rehabilitation, and patient preparation must be thoroughly evaluated and . adequately handled preoperatively.